Today, I have the honor of hosting Kristin Pullioff, author of “The Escape of Princess Madeline." She has answered some interview questions. 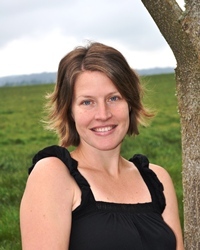 Please be sure to enjoy the interview and please check out Kristin's young adult novel! Writing is my creative outlet. Some people sing, some cook, some draw (you don’t want to see me do any of those), and I write. 2. What do you do to prepare before you actually begin writing? Music, tea, coffee, etc.? I have to be in my “zone” for writing. That means coffee and quiet. I usually take few deep breaths and try to clear my mind and then focus on the computer. Since my writing time is limited, when I do get it, I try to make the most of it. 3. Do you have a writing routine/schedule? 4. What’s your favorite part of the creative process? I love writing the first draft. I really enjoy getting the thoughts, the ideas on paper, and give them a life beyond my mind. It’s fun watching something I have imagined in my mind develop into characters, plot twists, conflicts and resolution. 5. What is your book that you are promoting about? “The Escape of Princess Madeline” is a fairytale for the whole family. Faced with an impending marriage, a knight champion, and a future that she did not choose, Princess Madeline finds herself in the middle of an impossible decision. Using her charm, strength and stubbornness, she defies the King, her father, at every turn, determined to keep her freedom on her terms. Follow Princess Madeline in this adventure full of twists and turns as she finds freedom and love. “The Escape of Princess Madeline,” will charm you with its timeless tale, strong characters, positive tone and quick pace. 6. Why do you write for the Young Adult audience? This is such a fun age to write for. Young Adults are on the brink of stepping into their own, forming their own lives and choices. It’s an age of discovering who you are, finding your strengths and struggling to find your path. I find YA books can tackle serious issues while maintaining a sense of whimsy, fun, and innocence. 7. Who is your favorite character from your novel? I loved creating Princess Madeline. To me, she combined so many struggles that women face growing up and became a protagonist that was easily relatable to as a positive example. It was important to balance the hard and soft qualities of her – her rashness with intelligence, her stubbornness with strength, and her defiance with vulnerability. 8. Any advice for aspiring authors who would like to be published? My only advice is to always stay true to yourself and never give up. The only person who can live your dreams is you, so don’t give up. 9. Is there anything that you are working on currently that we can be expecting? 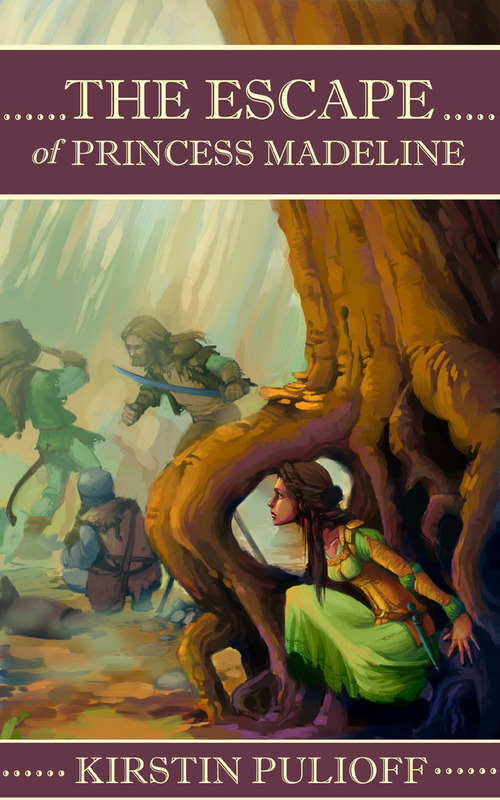 I am currently working on the sequel, “The Battle for Princess Madeline.” Now that Princess Madeline has found her future, how far will she go to protect it- a true battle between good and evil. 10. If you stranded on an island and you can only bring 3 books and one CD, what would you bring and why? Wow… how about a kindle and Pandora! 2. Coffee or Tea? COFFEE!!! 3. Book or Kindle? I like both… kindle for travel & new ones, books for favorites. 4. Romance or Thriller? A thrilling romance? Where can we buy your beautiful book? Please be sure to check out "The Escape of Princess Madeline!"